Greg Dyke's career has been extraordinarily varied. It is safe to say he has left his mark on every industry he's been involved with, and his position as Ambassador Theatre Group's Executive Chairman looks set to be no different. To give you a whistlestop tour through his career: he began as a young journalist, revelling in the responsibility it affords, before studying politics at York University as a mature student (where he is now Chancellor). Greg Dyke is most famous for his legacy as Director General of the BBC from 2000-2004: he restored staff morale, introduced Freeview and persuaded Sky TV to join the consortium. When he left (after the controversial Hutton report), his staff staged a walk out and funded a full-page advert in the Daily Telegraph to express their dismay at his departure. 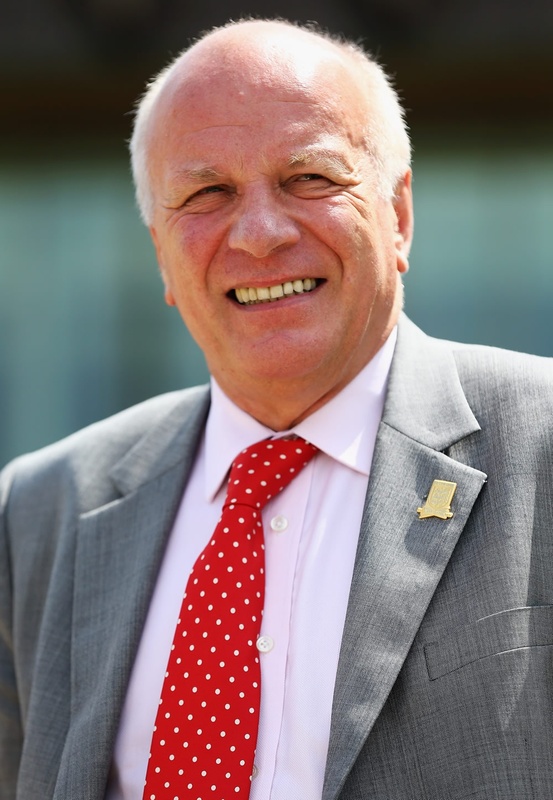 Since then, Greg Dyke has become Chairman of the BFI and Executive Chairman of ATG, and in 2013 was named Chairman of The FA. Could you talk me through how your relationship with ATG has evolved over the years? I knew Howard and Rosemary [ATG's co CEOs] from the early 90s because Rosemary's son was in the same class as my son. In the late 90s I made some money and they were looking for people to invest so that they could buy some more theatres. I invested in ATG but didn't have time to be on the Board because I was running the BBC at the time. When in 2008/9 they were looking at doing a big deal to buy a lot more theatres from the American Live Nation group, I talked to Howard quite a lot about it and when they needed a Chairman they approached me. I always tell the story of Howard and Rosemary inviting me to a reception and party for when The Rocky Horror Show came to Richmond (my local theatre). They told me to dress up so I arrived in lipstick and feather boa, only to find no one else had dressed up at all! What do you think is the future of the UK's theatre industry? UK theatre has been amazingly successful in recent years. We've gone through the worst recession in living memory yet theatre hasn't been badly affected and ATG has done really well through it. I can't see why that would change. So many businesses were affected by the double whammy of the recession and the internet and digital world, but live entertainment is not threatened by those. Or at least certainly not by the digital world. There have been changes made in the music and film industries but we're not threatened by any of that. As a sort of response to the digital world, people actually want more live entertainment. What is it about the theatre that people love? I've always been to the theatre lots. I think it's because it's an event, a chance to go out with friends, family and have a special evening. Look at pantomime for instance - it's very interesting: as the economy turns a bit can see it in the advance bookings for pantomimes. Pantomimes are the first time many people go to theatre, it's a family event. You went with your parents when you were young and then you take your children. It's the special relationship there is between the audience and performers that only happens in live performance. West Side Story is a fascinating example: it came out when I was a teenager and yet recently all my kids went to go see it again at Sadler's Wells and loved it and it sells out again. What have you found most interesting from your work as ATG's Executive Chairman? What's interesting is that when we bought the Live Nation theatres we laid down a financial plan for the next three or four years, and have hit everything we needed to hit. We worked out early on that in terms of the regional theatres they needed better product. Our best success was persuading Disney to put The Lion King on the road. As a result of the success of that, the regions are getting Wicked and other high profile shows because they have seen the successes we can get from that, without undermining our audiences in London. How has your background as the BBC's Director-General informed the work you do with ATG? As an organisation I like ATG because although it's grown it's managed to keep that family atmosphere. And in most organisations you strive to get it. It's what I tried to do at the BBC with 26,000 people. I remember someone asking me: âhow do you want the BBC to feel?' I replied saying that I want it to feel smaller. I think this is what ATG has, or at least I hope they do - that people feel valued and part of a family. What I've learnt over the years from that and from work with other businesses was something than another Chairman once told me: he said stick to your knitting. Stay in the industries you know. And do it better and expand within that industry. What, if any, are the crossover points between what you do as Chairman for the FA and what you do for ATG? It's all live entertainment, but the FA is more similar to the work I did with the BBC because it's always in the news. When I said I didn't think we should hold the World Cup in Qatar, I didn't expect the story to be on the back pages of every newspaper. And although its shows are in the news, ATG as an organisation is not always in the news. It's an advantage not having that at ATG because you can concentrate on getting the best product, running the best theatres and selling the products to your customers. What legacy would you like to leave ATG with? I'm the Chairman so I don't run it and the whole legacy will be Howard and Rosemary's. It's a very successful business model and I'd just like to help keep shareholders happy.